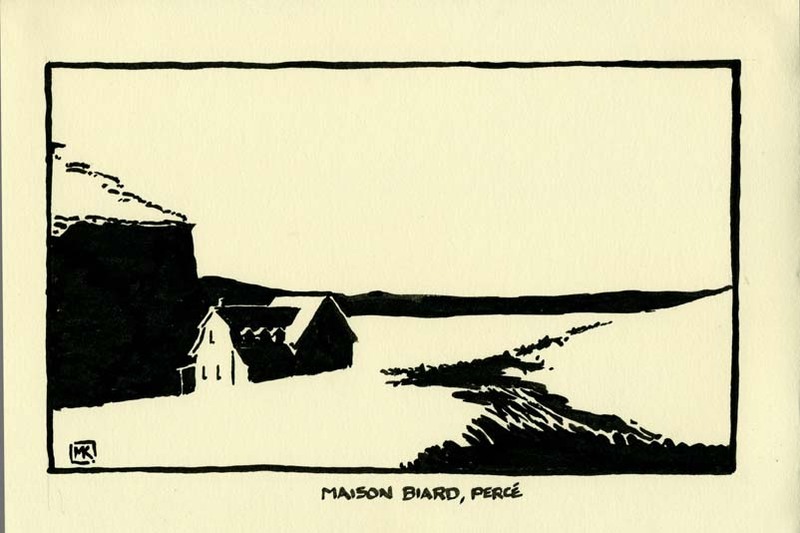 It pleased me greatly to be invited back to picturesque Percé, on the Gaspé peninsula in eastern Quebec in Canada, to conduct a week-long course/workshop. It was my fourth time there, the previous times recorded on this site in 2003 and 2004/2005. 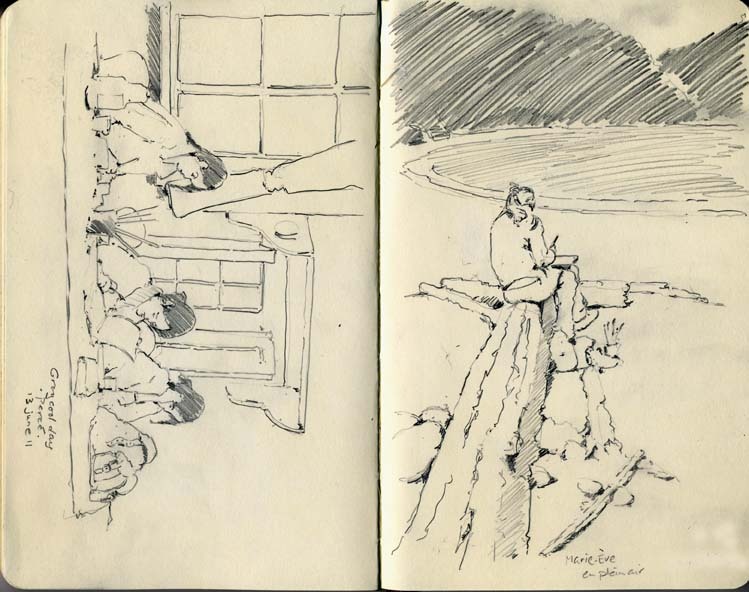 Although the course was set up to appeal mainly to travel painters interesting in producing sketchbooks (les carnets de voyage), it had a formal structure – "the grammar of space" – and proceeded systematically through the different techniques for representing three-dimensional space on a two-dimensional surface such as paper. All pretty traditional stuff, indeed, and not the sort of thing students get nowadays in fashionable contemporary art programs, but useful nonetheless. The most interesting and challenging part was painting les clairs-obscurs, known in English by the Italian word chiaroscuro – drawings done with black ink in patches without any shading that play with positive and negative space. 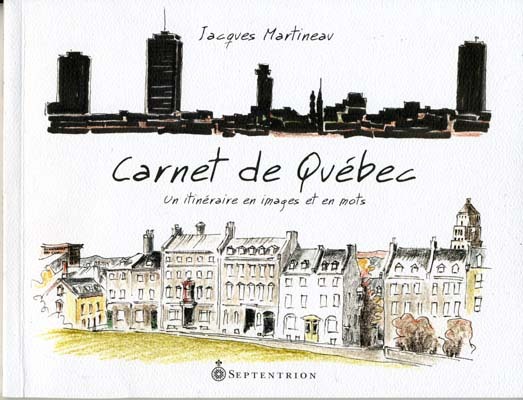 Jacques Martineau, who came to my class several years ago, had his Carnet de Québec (the city) published by Septentrion in 2009. 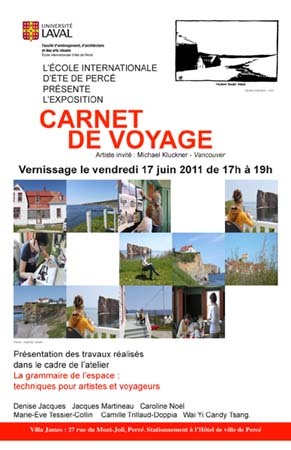 He is currently working on a book on the Gaspé region. Marie-Ève Tessier-Collin goes by the professional name Orbie and produces all sorts of wonderfully witty books, cartoons and T-shirts, including the colouring book below. 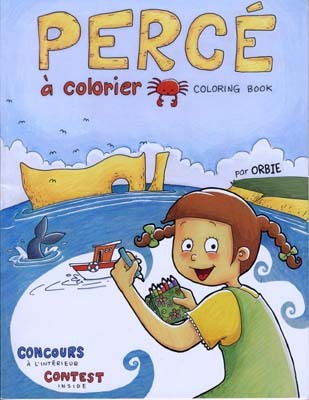 She was a finalist in "Les 24 heures de BD" (a 24-hour comic book competition), and her work is on her site www.orbie.ca. My only watercolour from the week, in my sketchbook. We went together to the Plage des Pecheurs, just a bay or so north of Percé. A few fishboats were pulled up on trailers as the dock had been destroyed in a storm the previous winter. On the left the eroded cliffs are iron-red and, in the distance at Coin-de-Banc a few dozen small houses line the beach. 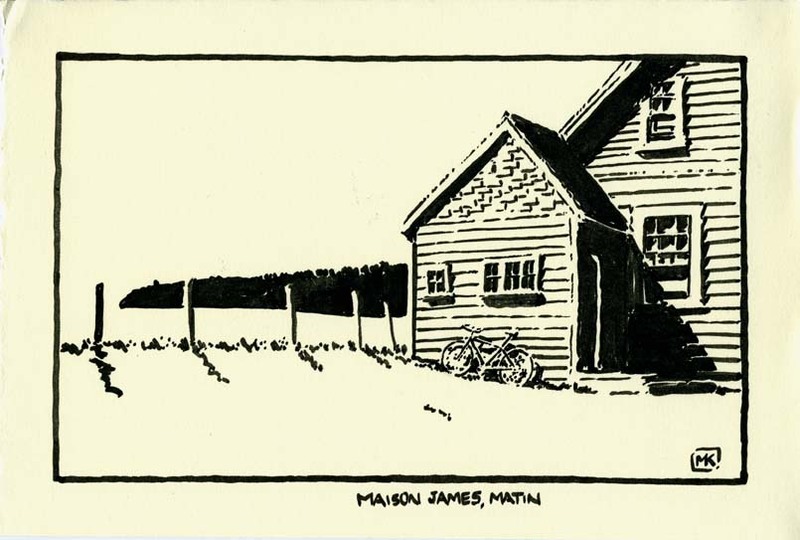 Below: a few clairs-obscurs, the black-white brush-and-ink paintings I started doing years ago as woodcuts for my book Wise Acres and continued to do in Australia, and a few pencil drawings of the group working en plein air. 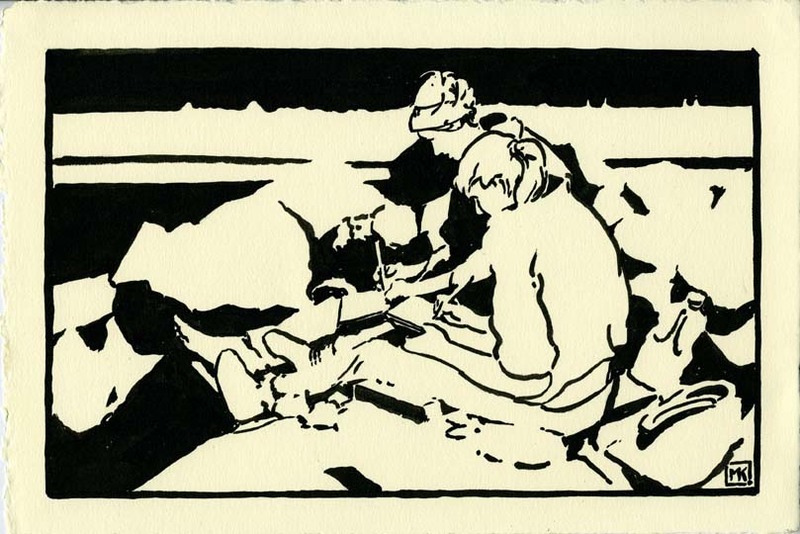 Marie-Ève and Camille sketching among the rocks on the railway embankment at Barachois. 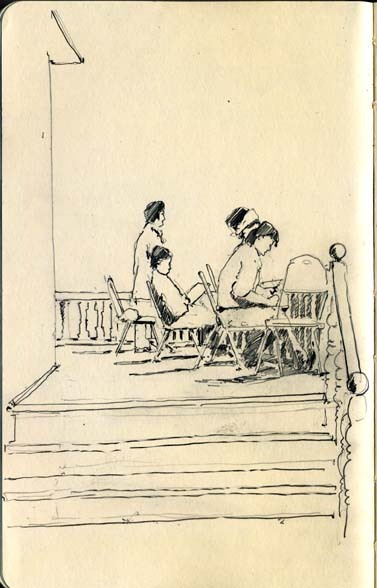 On the porch at the Maison James, the old home of New York painter Frederick James that serves as the headquarters and studio/atelier for the school.